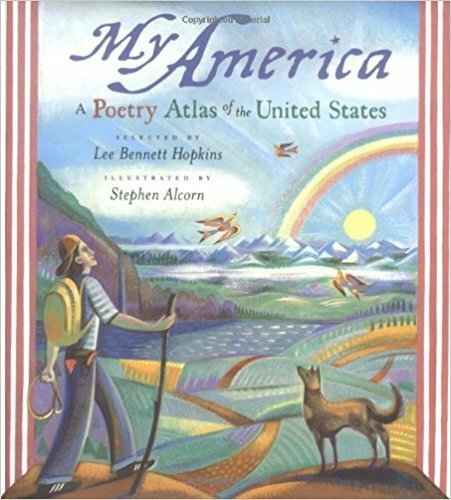 In My America, Lee Bennett Hopkins weaves together fifty poems -- grouped by geographic region -- to create a remarkable portrait of the United States. Here is America in all its stunning variety, from the dramatic seacoast of the Northeast and the rippling cornfields of the Plains States to the shimmering deserts of the Southwest and the majestic redwood forests of the Pacific Coast (Behind the Redwood Curtain). But here, too, are the ties that bind this nation together -- the hopes and dreams of those who live in our cities and towns and on farms.